Nitrous oxide is a compound of nitrogen and oxygen. When inhaled through a nose mask, it induces a calm, relaxed feeling. This is why dentists often recommend it to patients who struggle with dental anxieties or phobias. You can learn more about nitrous oxide by watching the accompanying video. The dentist featured here explains that nitrous oxide is safe for patients of all ages. Although nitrous oxide is a form of sedation dentistry, it doesn’t cause patients to lose consciousness. Plus, its effects are short-lived, which means patients do not require any recovery time after receiving nitrous oxide. 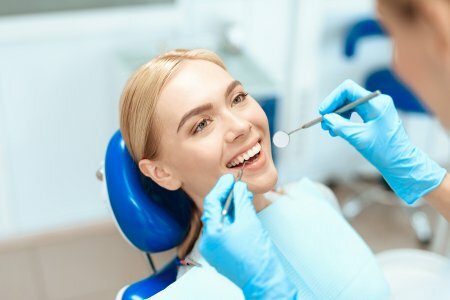 Park 56 Dental is committed to providing a comfortable, pleasant experience for our patients by offering sedation dentistry in our NYC office. You can reach our dental clinic at (646) 783-3529 to request an appointment. There are a few different types of malocclusion, which refers to the misalignment of the teeth. An open bite is among the most severe. It can cause undesirable consequences for a person’s health and quality of life. Fortunately, an open bite is also correctable. Consider visiting a dental office that offers Invisalign treatment. Invisalign is a system of clear plastic aligners that shift the teeth into their proper positions. It’s very effective for many types of malocclusion, including open bites. The ideal bite pattern allows the upper and lower teeth to align neatly with each other when the jaws are closed. The chewing surfaces of the bottom molars should align with the chewing surfaces of the upper molars. Additionally, the upper front teeth should rest just a little bit ahead of the lower front teeth. But most people don’t naturally have a perfectly aligned smile. If your dentist diagnoses you with an open bite, it means that there is a gap between your upper and lower teeth when your jaws are fully closed. There are a few potential causes of open bite patterns . One is an inherent problem with the jawbone. Open bites are also caused by habits. For example, children can develop an open bite early in life if they used pacifiers excessively and for too many years. Thumb sucking, tongue thrusting, and chewing on objects other than food can also be culprits of open bites. It’s also possible for patients to develop an open bite later in life, particularly if they develop temporomandibular joint (TMJ) disorders. TMJ disorder is a painful problem involving the jaw joints. In the case of an open bite, getting Invisalign treatment isn’t just a matter of aesthetic appearance. It’s also necessary to correct open bites because they can cause health issues. Open bites can cause difficulty with normal biting and chewing, which means patients may avoid eating nutritious foods like apples and nuts. Patients with open bites may also engage in unbalanced chewing, causing additional stress on the jaw joints. Furthermore, the teeth can develop uneven wear patterns, and the underlying structures may be adversely affected by the unbalanced force. Invisalign is one of the many premier treatments we offer here at Park 56 Dental . Our mission is to improve both the health and the appearance of your smile. Call our office at (646) 783-3529 to request an Invisalign consult in NYC. It’s natural for babies to cry (it would be alarming if they didn’t!). But if your baby is suddenly getting more irritable than usual, and if your baby is between six and 12 months of age, then it’s likely due to teething. Note that some babies teeth earlier, and some teeth later. Talk to a dentist if you have any concerns about your baby’s progress. Your baby’s teeth begin their development before birth. The eruption of teeth is the process of the teeth rising up through the gums into the mouth. The teeth may erupt a few at a time or one at a time. Most babies get their bottom middle teeth first, followed by the two middle teeth on the upper jaw. The other teeth erupt later. The second molars may not erupt until after age two, but all kids should have a full set no later than the third birthday. Your child is ready for his or her first dentist visit when the first tooth erupts or no later than the first birthday if your child is a late bloomer. Never give a child under age two any medications unless directed to do so by a pediatrician. Avoid homeopathic teething gels, tablets, or other topical applications for teething—these can cause serious side effects like seizures and breathing problems. Instead, use a clean finger to gently rub your baby’s irritated gums. Provide a clean teething ring made of firm rubber . Your baby will enjoy chewing on it. Avoid homeopathic teething rings, such as those marketed as magnetic, as these have been known to contain lead. We welcome young patients at Park 56 Dental, and we make every effort to ensure each child’s visit is a pleasant, stress-free experience. Our dentists and hygienists firmly believe in the importance of positivity in the dental office. Call (646) 783-3529 to schedule a visit with a friendly pediatric dentist in NYC. When you’re always in front of a camera, you want to look your best. The stars use cosmetic dentistry treatments to make sure they look as good as they can, and this includes Invisalign. This treatment straightens teeth in a comfortable and noninvasive way. If you want your smile to look like Tom Cruise’s or Eva Longoria’s, look into Invisalign. This orthodontic treatment gently repositions your teeth so you can enjoy a straighter smile. 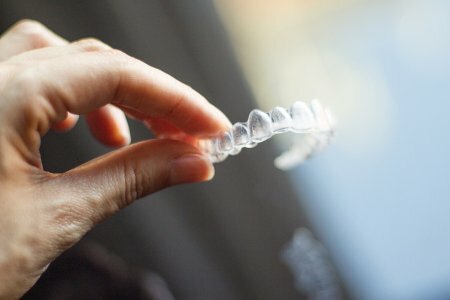 Invisalign uses invisible aligner trays, and you get a new one every couple of weeks. Each time you graduate to a new tray, your teeth will be one step closer to being in place. Aligners are see-through and removable, which makes them both convenient and attractive. You can take them out whenever you want, and most people won’t notice you have them. This is why so many people—including the stars—use Invisalign to straighten their teeth. Invisalign in NYC works for the stars, and you deserve the same kind of smile . Call Park 56 Dental at (646) 783-3529 or read through our website to learn everything you need to know about our dentist’s office.